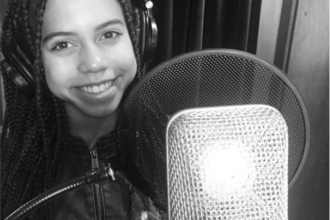 Asia Monet Ray Just Released New Cover Video Of Selena Gomez’s Hit Song, “Kill Em With Kindness”! Asia Monet Ray is a triple threat. She is an 11 yr old singer, actor, and dancer. Asia’s rise to stardom started when her mom put her in dancing classes at the age of 3. She then went on to compete in Abby Lee’s Ultimate Dance Competition . She then was put in the elite group on the hit reality show, Dance Moms and then went on to have her own reality show called Raising Asia! In a recent interview I had with Asia, she tells us about how she wanted a backup plan to her dancing in case she got hurt and couldn’t dance anymore – Thats where singing came into play.